Ideal for studio recording and live sound, XLR Male to Female Microphone Cable creates a reliable, high-quality connection for optimal audio. \ XLR male and XLR female connectors. Choose from 6-foot, 10-foot, 25-foot and 50-foot lengths (each sold separately). The shorter cables work well for home studios and smaller stages, while the longer cables make a great option for larger platforms or when needing more leeway. 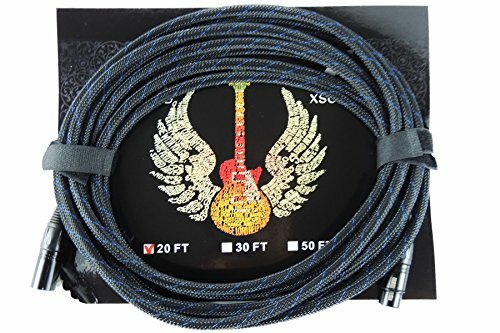 With its 6.0mm outer diameter, the microphone cable's flexible Nylon Braided Jacket protects the cable from everyday hazards, plus makes it malleable for easy routing, out-of-the-way placement, and smooth pickup when finished. If you have any questions about this product by Xsound, contact us by completing and submitting the form below. If you are looking for a specif part number, please include it with your message.